Like most people who cook in a small kitchen, I'm very wary of adding anything to my drawers and cabinets unless I'm sure it's going to be essential to my cooking arsenal or that it can be used in multiple ways. Enter the potato ricer. Yes, it looks like a giant garlic press. Yes, it seems like it only does one thing (create mashed potatoes) that you can easily do with other tools, including your basic fork. Yes, it takes up a fair amount of drawer space. But you need one in your life. Why? 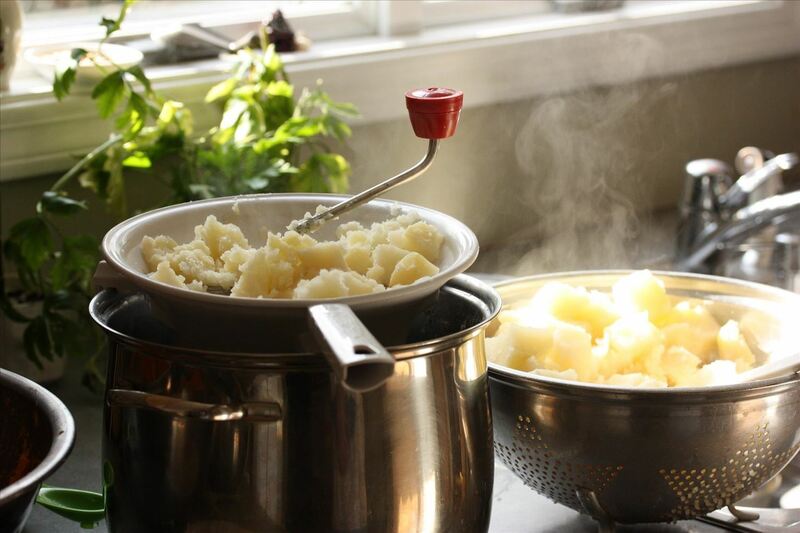 Because it creates the most heavenly, fluffy, silky mashed potatoes without over-processing them. Boiled potatoes are packed with starch. Mashing them (breaking the cells apart) releases that starch. If you mash them too much, all that starch gets gluey, ruining your dish. 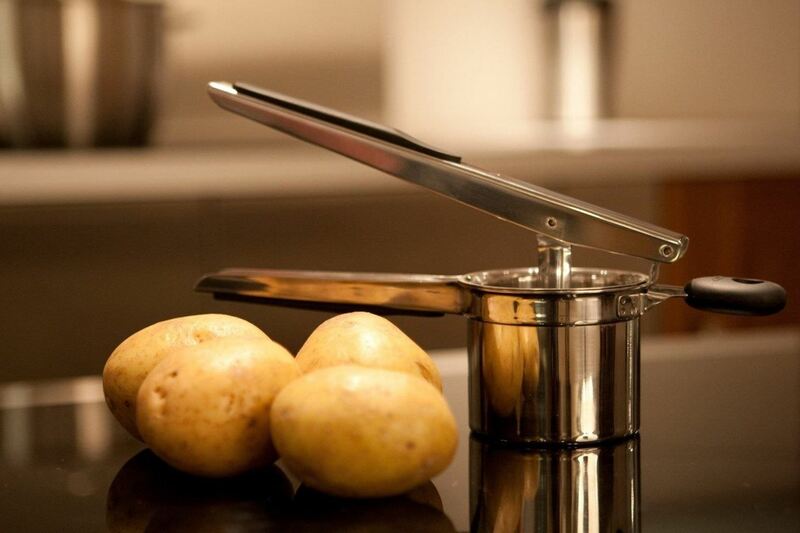 The potato ricer manages to break potatoes into the smallest pieces with the least amount of motion, resulting in that great texture. Plus, it turns out that the potato ricer is incredibly handy in many other ways, too. 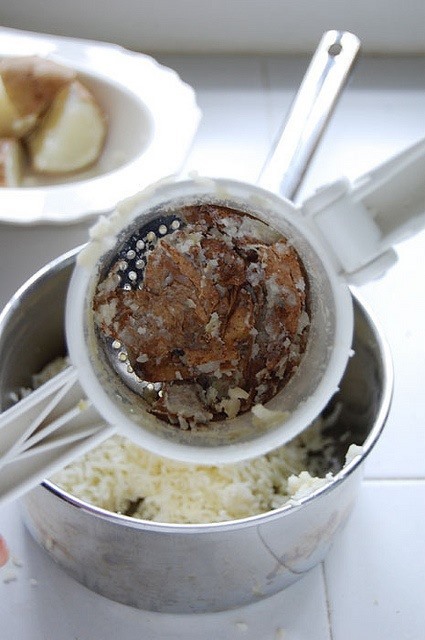 It excels at tackling small-sized tasks that are time-consuming, but not really worth dirtying your food processor. 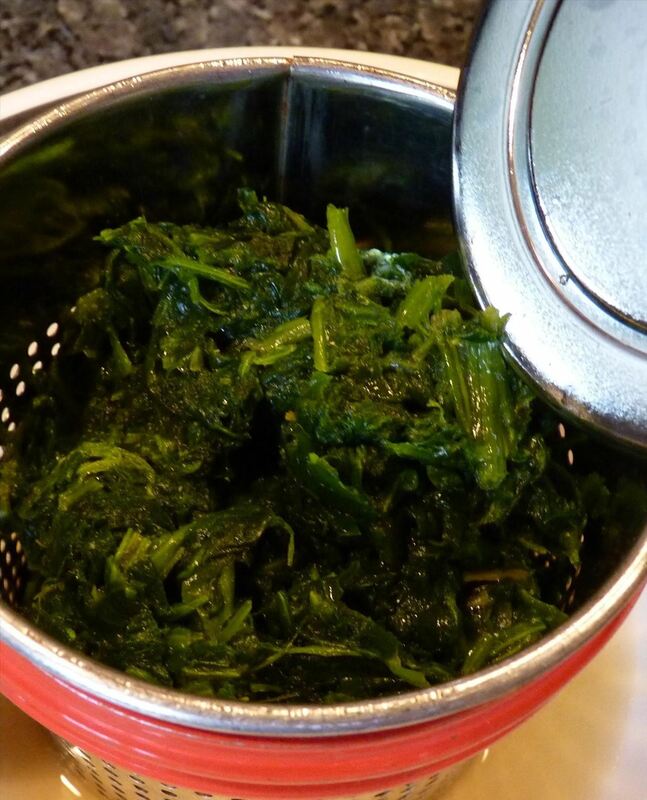 Want to press the excess water out of cooked spinach before you add it to a dish? Get the filling for your deviled eggs to the perfect degree of smoothness? Need to get chunky avocado bits out of your guacamole? What about straining food for your kids? No problem, a potato ricer can do all of that. 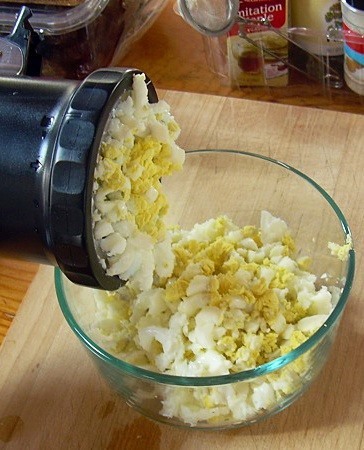 This site also points out other multiple uses for the tool, which includes: mincing a large quantity of garlic all at once; pureeing soft or cooked fruit into jam, coulis, or sauces; and juicing oranges and lemons easily (once they've been cut into quarters). 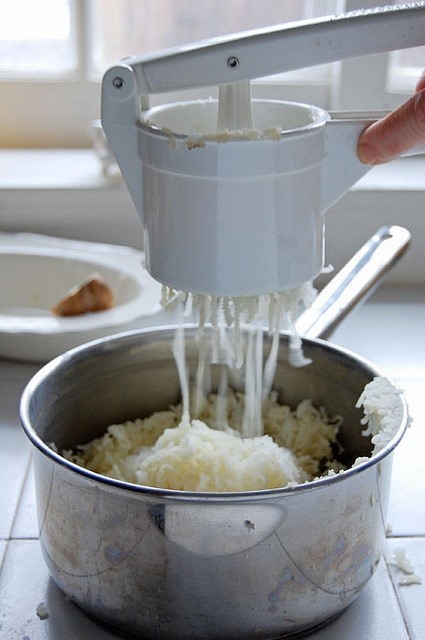 I've even used one to cut soft cheese into shreds when I couldn't find my grater. 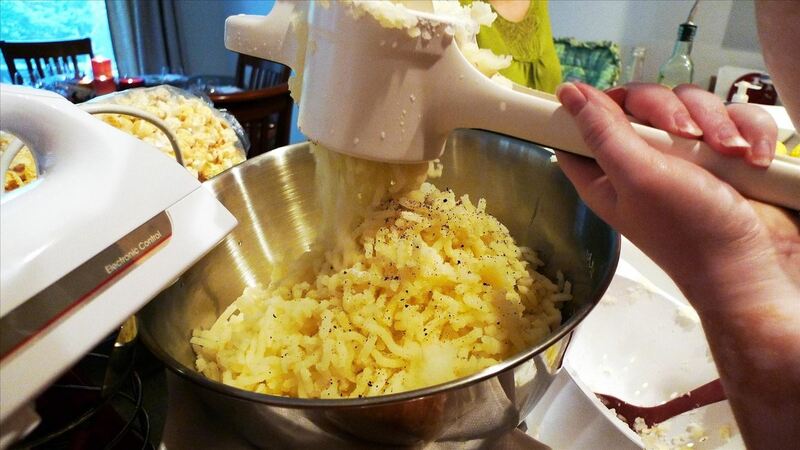 Keep in mind that all potato ricers are not created equal. Cooks Info says that you need a hearty model that can stand up to a lot of pressure, so avoid ones that feel lightweight. I prefer a stainless steel model rather than plastic or aluminum. This Norpro model is great and really reasonably priced. This OXO version is a few dollars more, but is very well made. Be sure to soak or wash you ricer as soon as you're done with it. Those little holes can be difficult to clean later on. However, I know there is a vocal group of people out there who prefer their mashed potatoes to have "texture" (aka lumps). For you guys, I recommend this classic potato masher. There's also this version, which promises to get results like a ricer. You could also use an ordinary food mill. Get More Food Tool Friday! The right kitchen tools can change how you cook. It's time to learn why pros prefer carbon steel knives over stainless steel, the easiest and best-tasting way to make coffee, and why you should grill on a Himalayan salt block.